The solid green area is the 8/2005 Town of Stow recreational easement across private property. 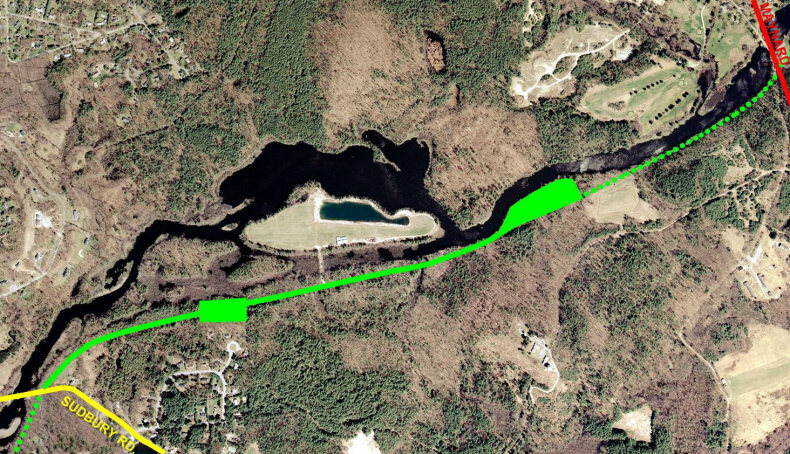 The dotted green line was the 7/2009 easement. Sudbury Road in Stow is the yellow line in the lower left corner of the photo. The red line in the upper right corner is White Pond Road on the Stow-Maynard border.